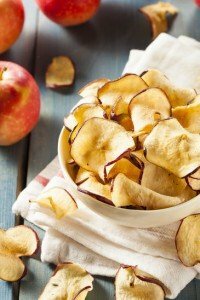 With a dehydrator in your kitchen, it’s easy to create your own healthy snacks at home. You may think that a dehydrator is a luxury, but there are so many benefits! You can buy foods in bulk from the grocery to dry or grow it yourself. Your dried foods will save you money, and by doing it yourself you can avoid all the preservatives that go into canned foods you find at the grocery store. Dehydrating will help prevent spoiling produce – making the most out of the groceries you do buy. You can make foods like granola or tempeh at home, and you can also dry foods for camping, hiking, and other outdoor activities. There are dozens and dozens of different foods you can dry. Let’s check it out! There are so many fruits and veggies you can dry with your kitchen dehydrator! Fruits are the most popular choice because they make a tasty, sweet snack. Apples, figs, grapes, cherries, plums, bananas, pears and tomatoes are all great choices. Cutting them into thin slices helps them to dry quickly—in most cases. Exceptions include berries and grapes, which dry best whole, though typically take longer. Always begin by soaking your fruit in a citric acid solution to reduce bacteria. Veggies take longer to dehydrate because they contain less acid, but they can be quite delicious when you do. 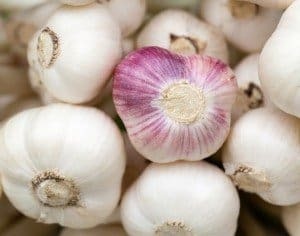 Consider dehydrating onions, turnips, corn, potatoes, beets, carrots, broccoli, squash, pumpkin, and beans. Vegetables should typically be blanched before drying. Aesthetically, this prevents discoloration, and more importantly, it prevents food-borne illness. Veggies make for great chips! Keep in mind that some vegetables preserve longer than others, and some snack foods need to be eaten within a shorter time frame because of the oils in them. Before you dehydrate any fruit or vegetable, be sure to wash it thoroughly. If you need to blanch something, it’s easy. Just boil it, and then dunk it in icy water. This slows down enzyme processes, which protects your food from going bad and losing color, texture, or flavor. 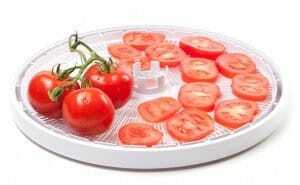 How do you know when a fruit or veggie is dry after dehydrating? The general rule is that the majority of fruits should contain 20% moisture. Vegetables, on the other hand, should be brittle and only contain around 10% moisture. If they contain more, microorganisms can grow and reproduce. You don’t want this! 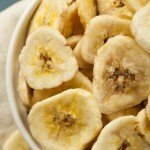 Bananas are a super easy fruit to dehydrate! it's a great way to preserve your bananas before they go bad. With just 2 ingredients and your trusty dehydrator, what could be easier? Many dehydrators can handle jerky, which can be very fun to make, but you must take care when you do so to avoid the risk of pathogens. 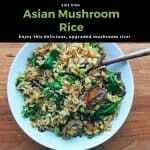 You can do this by using lean meat that has been precooked. You can use pretty much any type of meat you want. Here are a few tips for making great beef jerky. Start with partially frozen meat. This makes it much easier to cut. Make the slices ¼ inch thick or less to allow for quicker drying times. Remove all the fat first. Fat doesn’t like to dehydrate, and it can make the jerky go bad. For chewier jerky, cut with the grain. For crispier jerky, cut against the grain. 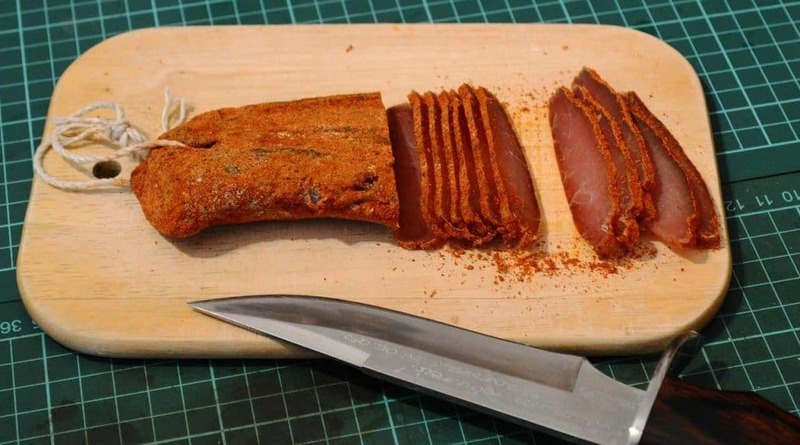 A lot of people who make jerky at home with a dehydrator say that they can never go back to store-bought jerky again. The jerky you make yourself is more flavorful, and since you can choose the texture, you can enjoy the consistency more. On top of that, this is a wonderful way to save money on a snack which is otherwise pretty pricey! Dehydrating herbs is very helpful because then you have them available for your cooking! With fresh herbs, you have to use everything within a few days, or they go bad. Since that rarely is possible, you end up wasting a lot of herbs—unless you dehydrate them. The best time to clip fresh herbs is in the morning after the dew evaporates. This will prevent them from wilting. Rinse them off and make sure all the moisture is gone, then dehydrate them. You can preserve your herbs this way for future recipes. Examples of herbs you can dehydrate include spearmint, lavender, chili peppers, garlic, and more. 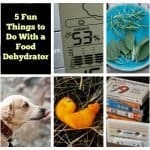 There are numerous other foods you can also dehydrate or prepare by using your dehydrator. 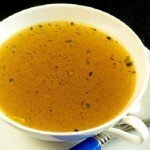 These include cheese, eggs, mushrooms, nuts, rice, risotto, soup cubes, teas, oats, whole grains, and more. Even though most kitchens do not include a dehydrator, it is one of the most all-around helpful appliances you can purchase for your home. A dehydrator allows you to preserve foods which would otherwise go to waste, saving you time and money. 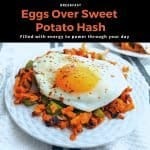 It lets you enjoy a healthier alternative to canned foods and grocery store snack foods. If you aren’t sure which dehydrator is best for you, check out our article that reviews the top dehydrator brands. You can dry fruits for granola, salads, and later reconstitution, as well as vegetables, meats for jerky, herbs, spices, teas, and more. Once you get the basics down, you will be amazed at everything you can prepare and preserve!